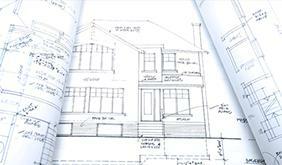 You will need a revised metropolitan planning levy (MPL) certificate if the estimated cost of the development increases after you have received your certificate but before you apply for a planning permit. Your original certificate expires 90 days after its issue date. If it has expired, or you have already used your certificate to apply for a planning permit, you cannot apply for a revised certificate. You must reapply for a new certificate and pay the levy again. You may have to pay an additional levy if the estimated cost of the development has increased. We can also issue a revised certificate to correct an error in the information on it, including correcting the estimated cost of the development if it is different from the cost contained in your application. However, there must be no change in the estimated development cost. Your revised certificate is valid for 90 days after its issue date. The unique application identifier issued to you after submitting your original application. Details of the business/person applying for the planning permit. Land details to which the certificate and planning permit application relates. The original and revised estimated costs of your development. The total levy amount you have already paid. Please ensure your email address is correct as we send your certificate to that address. To apply for a revised MPL certificate, select the 'Revised Certificate' option (under the 'Certificate Application' page) and complete all other sections. Before submitting your application, you must declare the information you have provided is true and complete. Once you have submitted your application you will be issued with a unique application identifier and provided with our bank details to pay by electronic funds transfer. We send you an email with a link to verify the email address in your application. To protect your privacy, you must complete this step so that we can email the certificate to you. Once you pay any additional levy, we will email you a revised certificate which you can lodge with your planning permit application for the proposed development.